Mikaela Shiffrin has won all five (or six) disciplines on the World Cup tour with her super-G win in Lake Louise, Alberta, last weekend, but thinks there are other ways of measuring her sucess. 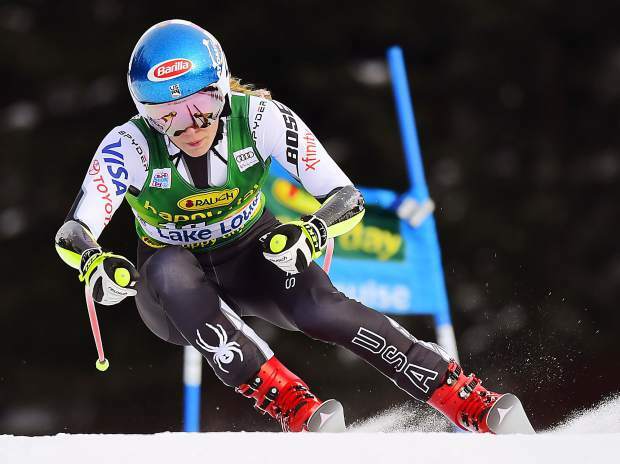 Mikaela Shiffrin has proven she can dominate in every discipline of ski racing, but as has been the case with all the accomplishments of young career, she’s not getting a big head about it. While everyone around her is talking about how she’s the only skier in history to win a World Cup race in all six existing disciplines (slalom, giant slalom, downhill, combined, parallel slalom and after her victory in Lake Louise, Alberta, on Sunday, Dec. 2, also super-G), she is quick to point out the practicality of the newly broken record. Only a handful of racers in history have been able to win in every race discipline before the “city event” (aka parallel slalom) was factored in, the most recent of those being Slovenian Tina Maze and also Bode Miller, who Shiffrin names as her key role model in mastering every type of alpine course. Also, 23-year-old Shiffrin, who clinched the World Cup overall title the last two seasons, has not-so-secretly been working toward being an all-around skier at every opportunity for many years. As any all-discipline racer can attest, switching gears between tech and speed from week-to-week is not only a physical challenge.